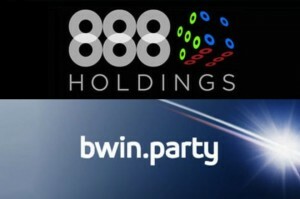 888 Holdings is one of the leading iGaming companies in the world, and its $1.4 billion acquisition of bwin.party has put the entertainment conglomerate in a commanding position as it relates to online poker in the United States. After months of bidding, 888 beat out Amaya, parent to PokerStars, the world’s largest online poker network that had previously offered $1.7 billion in May in a joint proposition with GVC Holdings before revising and lowering the bid to $1.4 billion earlier this month. 888 reportedly met the offer, and bwin.party chose the latter in what appears to be a conscious effort to consolidate the industry to compete with PokerStars. “Bringing our two groups together will generate substantial financial synergies for the benefit of both sets of shareholders,” Philip Yea, chairman of bwin.party said in a press release. The $1.4 billion settlement includes cash and stock options in 888 Holdings. Through its player pool sharing with the World Series of Poker (WSOP), 888poker already has the most active online poker room in New Jersey, and that will only increase now that it’s acquired its only other competitor in the Garden State. According to PokerScout, the WSOP/888 rooms are averaging 180 players over its most recent seven-day average, 60 more than Party Borgata, a subsidiary of bwin.party. Bringing those players into the same pool as WSOP/888 is in the cards, and it will create a strong foundation to combat the expected arrival of PokerStars in the coming months. New Jersey’s Division of Gaming Enforcement has been delaying the poker network’s entry into its state for many months but for reasons largely unknown. That storm Mattingley speaks of is almost certainly that of PokerStars, a licensing that will likely cause quite a shakeup in the New Jersey’s online poker market. That’s not to say that other rooms will be negatively affected by a PokerStars entry, in fact just the opposite could occur, but without question the world’s largest room returning to the US with generate plenty of headlines and bring additional interest. According to reports, the Amaya and GVC offer required bwin.party to split its company’s structure in half, with its poker assets going to PokerStars and its casino and sports book interests being handed over to GVC. Being that bwin.party and 888 Holdings are headquartered in Gibraltar, the British Overseas Territory located at Spain’s southern tip, presented additional advantages to benefit shareholders of both companies, and could even help save jobs. 888 says that while “operational restructuring is likely,” integration planning has begun with a more detailed blueprint regarding current employees to be revealed once the offer and acquisition has been finalized. However, one item of note 888 was able to confirm regarding employees is that existing contracts, including pensions and incentive arrangements, will be completed in full.